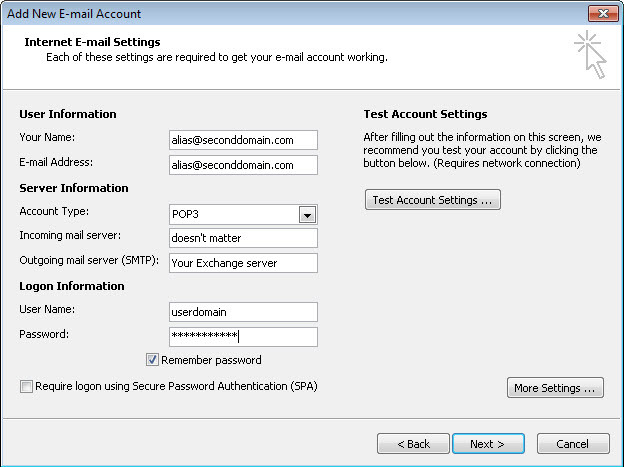 Posted in Blog, Exchange 2007, Exchange 2010, Howto, Outlook, SBS 2008, SBS 2011 by ronnypot at May 30th, 2011. I am not dealing with this exact sily problem.. Who would have thought that such an advanced system would have such a basic problem..
Quick question – is there a way to default it so that Outlook will use the relevant email address when replying to an email? so if someone emails me to my alias mail address then when replying to that email I won’t have to manually select the alias sending address. Outlook should see that the original email was sent to the alias and should choose the alias email address when replying. I am *now* dealing with……. The only way is when they are on separated mailboxes then when you reply it will automatically send from the email address you want. I would contact them and ask if it works, don’t think so either, but don’t think there are other solutions that does. I’m reading through this and think it might address my issue but I’m not sure. I have 3 POP domains for 3 different businesses I run. I want to add an exchange account with a neutral domain (e.g. me@lastnamemail.com) and have the other 3 pop accounts forward to it so it’s all in one box – the reason for wanting exchange is so when I address a message on my phone i don’t have to go back to my desktop and see it still there, and visa-versa. The issue I am trying to work around is granting permissions to reply “from” the pop accounts’ address. Ultimately I can live with replies from the generic address, but I’d like to have them be from or even on behalf of the respective biz address. If I understand correctly, setting them up as separate accounts in outlook won’t resolve the phone vs desktop issue which is the whole reason I want exchange (and it’s not affordable to upgrade all of the other addresses to exchange). Thanks. Just to be sure, you want to send as or on behalf of the pop account via your mobile phone, or just via outlook. If it is via outlook you can use the described method, this won’t work via your phone, or you need to create separate accounts on your phone as well, if this is supported. Than you should be able to send with these address from your phone. You might need to look if this it is possible, to create multiple exchange accounts with your mobile phone. Does this work for SBS 2011 also? 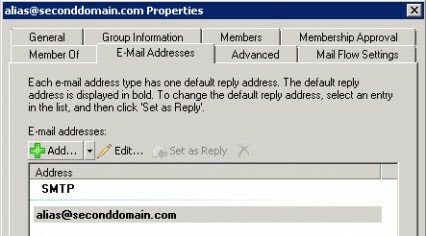 Is it possible to add the domain name hotmail.com, gmail.com, or any other existing one where I do not have access to the MX records as long as the POP3 Connector is used for downloading the mail to the server? Do I have to create another user account for the alias? 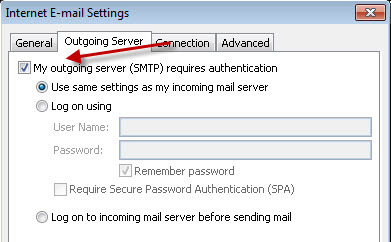 When trying to follow Workaround 1, I am not able to get past this step: give the alias as email address. When I try to put the alias as testing@seconddomain.com, I get an error saying something about how the @ is not allowed. Yes within workarround 1 you create another user account for the alias. The email address must be entered within the email addresses tab, it might go wrong if you enter the complete email address within the alias field. If this is not what you mean can you please send me or post a screen capture of the error you get? In the 3rd picture, you have “alias@seconddomain.com Properties” meaning that the user name is “alias@seconddomain.com” (at least the alias for the user name). Alright I understand, it is not the alias field you see overthere the alias for this user is “aliassecond” and not alias@seconddomain.com. This is just the Display Name field. When I send an email to my hotmail account, the return alias is the same as the alias on the hotmail account. Thanks for the link, I have seen the tool before and it is on my list of tools to test sometime. The same for another send as tool http://www.servolutions.com/changesender.htm . But my experience is most small business companies won’t pay money for such a tool and you have to go for one of the workarounds I described. Ok. I’ve deleted the alias from original mailbox. However, when I try to create new mailbox with the alias, it says it’s already in use by original user. How long does it take for Exchange to realize the email address is available? If you deleted the alias it should be recognized direct by exchange. It might be you have an email address policy that automaticaly put the alias back to the original mailbox? Today I tried workaround 2. Deleting the alias from the user goes okay, creating the Distribution Group goes okay. Adding the user and emailaddress of the second domain to the Distribution Group goes okay, even completing the CLI command goes fine (although I don’t see the “Creating …” line after submitting the command, but when I repeat it, it says that things already are appli3d to that Distribution Group). But I still get the same error 🙁 I’m using Exch 2010 SP2 on Win2K8 R2. Don’t know if you already figured this out, but to be sure, the alias is now added to the distribution list? But when you try to send as you still get the error? Great post – well written and screenshot. We have choosen Workaround 2 and we also want to receive email from alias distrubution list forwarded to users mailbox. Second domain is set in Accepted domain and users have been able to reveive email earlier before i implented this Workaround 2. Now users can not receive email sender receive this error when they send mail to second domain. you say a part of the answer here, did you solve the complete problem or is there still something not working? Thanks Ronny – I have this exact situation on SBS 2011: client has two domains and cannot decide which one they want to use. Some users are set to domain A and some to domain B with Email Policies. But now they want to Send As as well. For those that have policies in place: you need to untick the “Automatically update email addresses based on e-mail address policy” option in the “Email addresses” tab of the Distribution Group otherwise you’ll hit an error when you try to apply the changes to the group. I also created the Dist. Groups directly in EMC, not in the SBS console – as such the groups don’t appear in SBS Console – not really an issue. Note though that doing and leaving the box to choose the Organizational Unit will put the Dist Group in the MyBusiness/Users/SBS Users unit – I choose to put them in MyBusiness/Distribution Groups. But great instructions Ronny, thank you. 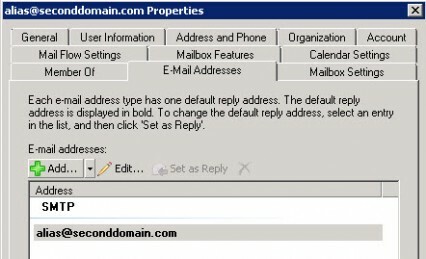 Does workaround 1 also work when there is no second authoritive domain in Exchange for ‘Alias@seconddomain.com’ and the mail is imported into exchange by using a pop connector (where ‘seconddomain.com’ will be added to the pop connector delivering the mail to the second mailbox)? I have never tried if it might work when the domain is not configured as an authoritive domain. I think it would not work because this is more or the less relaying what you are trying to do. Ronny – I wanted to make it known that there is a nasty side effect of not using the SBS wizard to create the Distribution Group for Work Around 2. As I reported yesterday, I did not do this and instead used EMC. The setup was fine, and the user could Send As that alias no problem. However, Exchange would reply with User Unknown when sending to that alias. I then deleted the Dist Group and recreated it using the SBS wizard, and then adapted it as per your instructions. This time mail was received fine on the alias. So the old adage for SBS to “use the wizards”, “use the wizards”, “use the wizards” still holds true even for this! Hope this might be of use – I had the user in question complaining that they had received no email…. Luckily the front end ExchnageDefender had a copy of the mail that bounced, so all was not lost. thanks for sharing your experiences! This might indeed be useful for everyone using this. Did you read the article, because it says you can’t and there are tree work arrounds to solve this problem all described here. I have the exchange 2003 than i’m adding the exchange 2010 now and i’m at the state that all my mailboxes are not move to the Ex2010. I’m trying to do the W2 but i’m not sure. Didi it stat at the line W2 or before ? Last line was: Did it start at the line W2 or before ? And is that better to do on the exchange 2010 or 2003 and move after ? Great article, just what I’m looking for, except I’m trying workaround #1, but the problem is when I delete the email and hit apply, the email just pops back up after apply has been hit. It won’t let me delete the email. Let’s say the account is structured like this. Delete 2 – no problem. then hit apply and it’s back. Does that make any sense? to answer my previous question. It turns out I have to uncheck the “Automatically update e-mail addresses based on e-mail address policy” box. 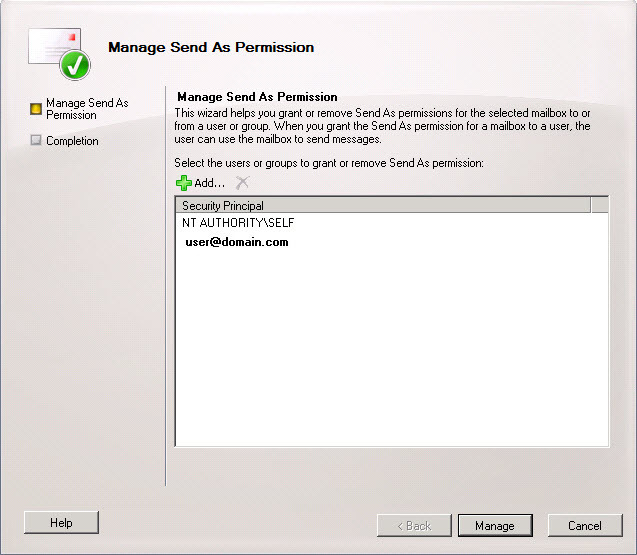 If you setup both permissions together on a mailbox (“Send As”,”Send on Behalf”), It will be used: “Send on Behalf”.